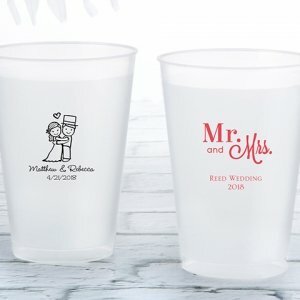 An affordable personalized wedding favors guests can use at the reception and when they get back home! 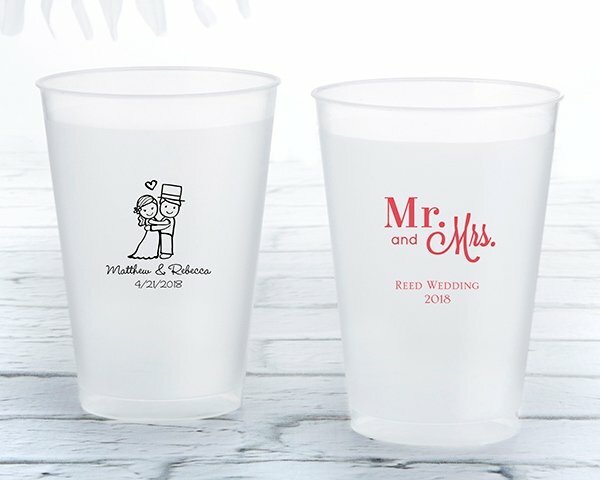 Kate Aspen's Personalized Frosted Flex Cup comes in multiple wedding designs, each showing your names and event date. With a shatterproof construction and frosted look, they fit right in with any chosen wedding theme or venue choice! Color ink- gold or black? Yes you can personalize it and a text on it. You can also choose a color from our designer tool after adding it in your shopping cart.